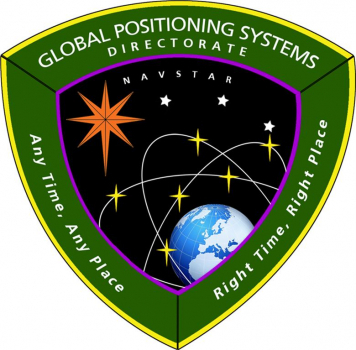 This initiative gained full support from the White House and President Bill Clinton’s Administration in 1998, which initiated the GPS III program in conjunction with the U.S. Congress’ official authorization in 2000. Under the Presidency of George W. Bush, the GPS III system itself, the technologies that would be included on the satellites, and the overall design of a spacecrafts were studied, leading to the contract award for build operations to Lockheed Martin, with Orbital ATK and Northrop Grumman Astro Aerospace providing parts of the satellites. Under the build contract, Lockheed Martin served as prime manufacturer and provided the A2100 bus structure for the satellites. Additionally, Orbital ATK, now Northrop Grumman Innovation Systems, provided the propellant and pressure and tanks, and Northrop Grumman Astro Aerospace provided the eight deployable JIB antennas. Under the administration of President Barack Obama, the Next Generation GPS Operational Control System contract was awarded to Raytheon on 25 February 2010 to build the ground control system for the GPS III satellites. 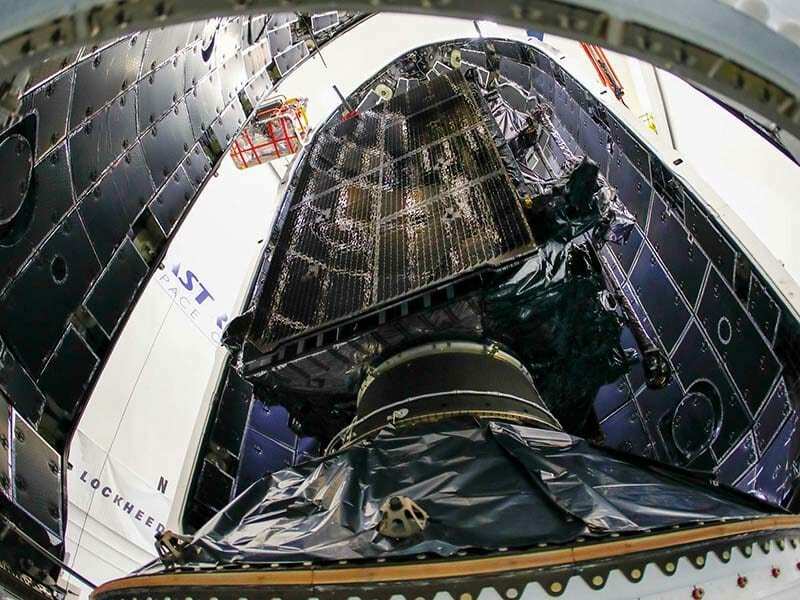 The first GPS III satellite was originally to launch in 2014, And was scheduled to be taken to orbit aboard a United Launch Alliance (ULA) Delta IV M+ rocket, but delays due to late technology and build deliveries pushed that first launch into the spring of 2018. The launch contract for the first GPS III mission was awarded to ULA in January 2012. However, after that first contract was awarded to ULA, SpaceX and the Air Force reached an agreement in 2015 for SpaceX to drop its lawsuit against the Air Force in agreement that the Air Force would open up national security launch contracts for competitive bidding. SpaceX’s lawsuit followed an award, separate from the GPS III line of satellites, to ULA from the U.S. government for a block buy of 36 ULA launches without competition from outside sources in 2013. In 2014, SpaceX filed suit against the Air Force in an effort to force competition within the launch market instead of relying solely on block buy contracts, which SpaceX viewed as more expensive than single mission bided contracts. Later that year, after the lawsuit was dropped, the Air Force followed through on its promise and publicly requested fixed-price contract bids for the launch of the second GPS III satellite. 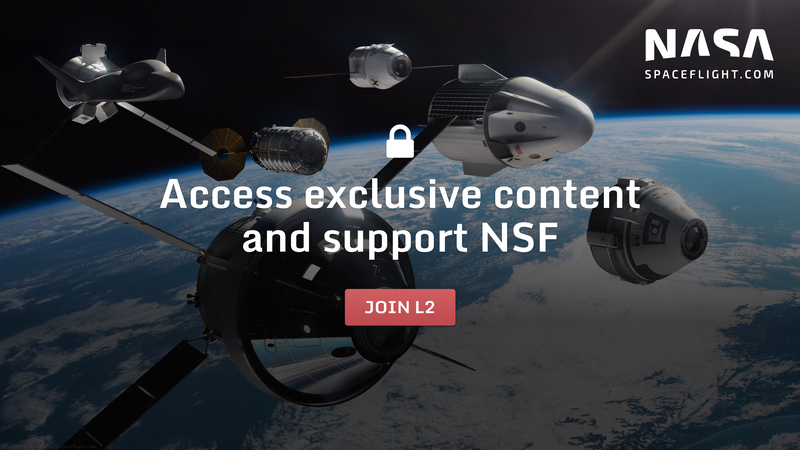 The competitive bid was submitted as part of the Air Force’s Evolved Expendable Launch Vehicle (EELV) program – the “Expendable” part of which being a holdover from the era of full expendability of rockets. The Falcon 9 is part of the EELV program even though it is capable of being recovered and reused. With the competitive nature of the contract, SpaceX submitted a bid using the Falcon 9, and ULA decided not to submit a bid citing concerns over how the Air Force would select the winner as well as concerns that they would not be able to meet SpaceX’s low launch cost. On 26 April 2016, the Air Force officially announced SpaceX’s selection to launch the second GPS III satellite. Since then, the third, fourth, fifth, and sixth GPS III satellites have undergone competitive launch bids, with SpaceX winning all of them with their Falcon 9 rocket. At the time SpaceX won the GPS III contract for the second satellite in the series, it was slated to be the second launch of a GPS III satellite following the first satellites launched on ULA’s Delta IV M+ rocket. However, one year after the contract award, the Air Force announced a rocket-order swap for the two missions in Spring 2017, taking GPS III SV01 (the first spacecraft) from the ULA Delta IV M+ and placing it on the Falcon 9 while taking the GPS III SV-02 (the second spacecraft, and the one SpaceX actually bid on) from the Falcon 9 and placing it on the ULA Delta IV M+. Swapping the rockets on which the first two satellites would launch did not affect the fixed price contracts awarded to the two companies, but it did hand SpaceX a crucial – and yet another – first: SpaceX would now be the company to launch the first in the new generation of GPS satellites, not the second. 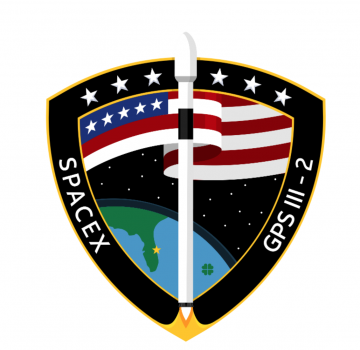 Because of the swap in payload launch order, the SpaceX mission – while launching the first GPS III satellite – is the second contracted flight; hence, the Air Force and SpaceX mission patch referring to this as GPS III-2 while it is, in fact, the first GPS III satellite (SV01) built. Ground testing and check out for GPS III-SV01 was successfully completed throughout 2017, and refinements to the SpaceX launch manifest brought the mission’s launch into alignment for December 2018. In the weeks leading up to launch, SpaceX and the Air Force successfully completed integration of GPS III SV-01 onto the payload adapter as well as encapsulation into the Falcon 9 payload fairing. Like previous SpaceX missions, the Falcon 9’s Static Fire was successfully completed – with quick look data review – just after midnight on 14 December. Unlike most SpaceX missions, the final pre-launch campaign also included a full-scale Mission Dress Rehearsal – where the launch and payload control teams worked through a complete flight scenario including issues thrown at them to ensure they are ready for any possibility on launch day. With those hurdles cleared, the mission proceeded into its Launch Readiness Review (LRR), which SpaceX and the Air Force held jointly on Monday, 17 December. The LRR concluded with permission to proceed into launch operations, and Falcon 9 rolled out to its launch pad at SLC-40 at the Cape Canaveral Air Force Station, Florida, on Monday afternoon. Following numerous delays, for reasons ranging from sensor issues to unacceptable weather, the stars finally aligned for Falcon 9 on Sunday, which was likely to be the final attempt before Christmas. With green weather and a smooth countdown, the Falcon 9 rocket lifted off from its seaside launch pad at Cape Canaveral at the start of a 24 minute launch window. After lifting off, Falcon 9 pitched downrange and head Northeast from the Cape to deliver GPS III-SV01 into a 55° inclination orbit. The Falcon 9 for this mission used first stage core B1054, a brand-new Block 5 first stage as required per the fixed-price contract with the Air Force. 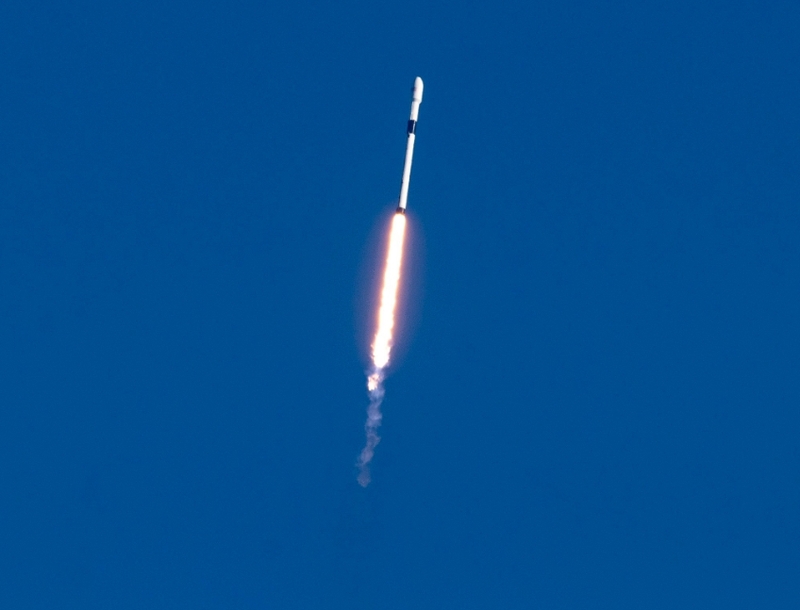 Because every single pound of thrust of performance from the Falcon 9 was required to get the 3,880 kg (8,533 lb) GPS III satellite into its Medium Earth Orbit, B1054 flew in an expendable configuration with no landing legs and no grid fins and was disposed of into the Atlantic Ocean after separation from the second stage.